This Labor day I took a couple guys out fishing. When I use to be into mountain bike I use to hang with these guys all the time. Paul and Eric are still into mountain biking but I have fallen way off the wagon. My weight is up about 30lbs from back in the day and the bikes are collecting dust. Fishing and photography just hasn’t left much time for much these days. Since I have not fished out of my boat in a couple weeks I really didn’t know what was going on out there. 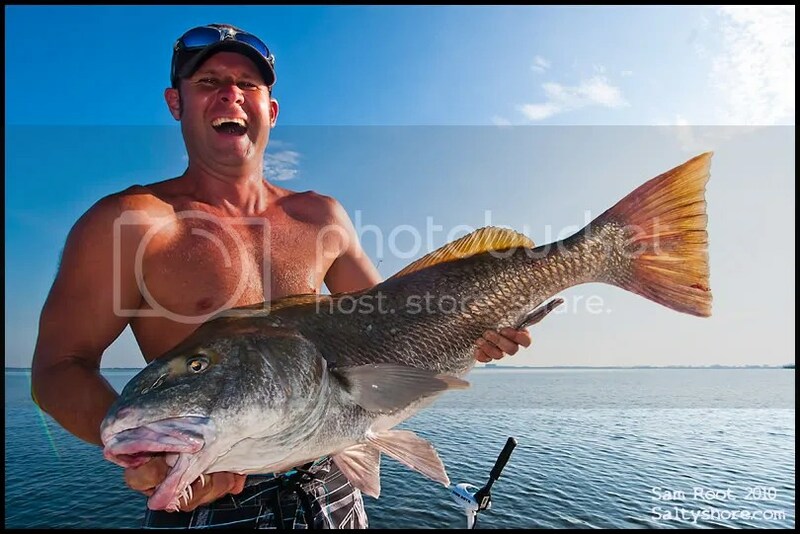 Tampa bay is a great fishery but you still need to be on your toes to optimized you time on the water. The weather was good today but the tide wasn’t so hot until the afternoon. Since current plans wouldn’t allow and afternoon session we had to with what we had. One of the cool thing about running a bay boat is the comfort factor and range you get with it. 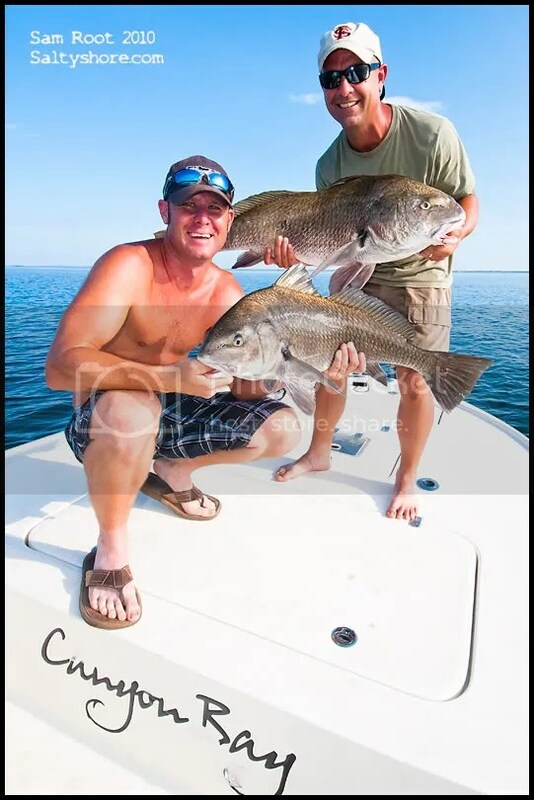 If you’re not planning on fishing skinny skiff waters all the time I would skip the “flats” boat and look at bay boats. Back in the day I thought a baby boat would be too limited. That is until I started shooting photos for the show Saltwater Experience. Tom and Rich were catching everything and everything down in the keys in bay boats. The only time we would use the skiff at all was going after tailing bonefish. This kind of open my eyes to all the possibilities of fishing out of bay boats. My plan for the day was to gas up the Canyon Bay and do some exploring at first light. The first spot was fishing oyster bars for redfish. We didn’t want to give this area too much time as had a long run ahead of us. A nice trout and dink snook we hooked using DOA CAL jigs before we moved off the flats. We ran 15 miles across the bay to fish the bridges for some pompano and perhaps snappers. With the slow incoming tide and heat picking up, the bite could definitely be better. Only excitement was a pod of ladyfish that kept us entertain for about 5minutes. 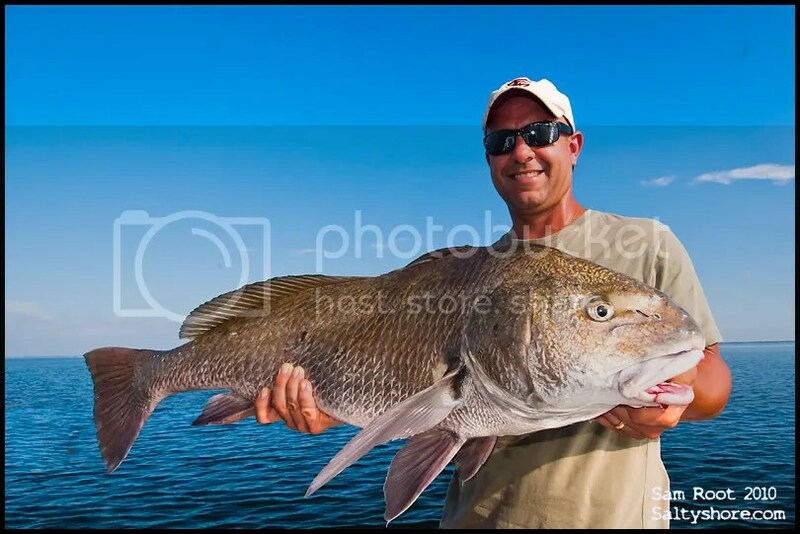 One thing about the slack tide in Tampa bay this time of year is you see cobia and at times black drum tailing on the pilings. We did not see any cobia but we definitely saw tailing back drum on the pilings. We trolling motor over and changed out lures. I had pompano jigs on at the time, I wanted to put some stink on there. I dug out my packs of GULP and plunk one across the bow. It didn’t take long to hook up. We ran out of GULP and started to use the DOA CALs and they worked just fine. At one time we even had a triple hookup. The guys were pumped. After a while though it was getting unbearably hot. We left the drums and decided to do some flats fishing. That only resulted in one trout before we decided to packed it in to get some lunch. I don’t usually eat breakfast when I get out and fish in the mornings so hunger was kicking in. My favorite place to eat on the water in my area is Circles on the water in Apollobeach. The place is laid back and the food is good. Special of the day was a pasta dish. I don’t know they call it but had chicken and shrimp, sundry tomatoes, artichoke hearts, spinach, and mushrooms. That dish was only $10, and we washed it all down with a bud light. (Eric had the fancy bear of Killian’s Red) We were back at the house by 1pm. It was a good Labor day. note to self: Get on a diet asap and get back to do some mountain biking! Photo notes: most of the shots are back lit, (you can see from the tail of the fish). I used the built in flash to give it a little pop.